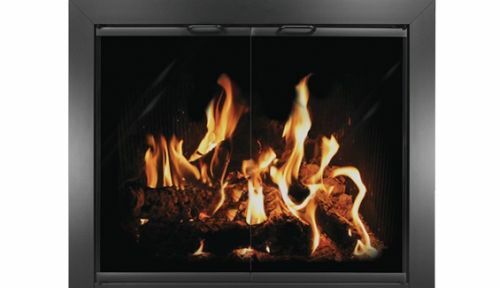 The Chalet is a poweder coated aluminum glass fireplace enclosure with 2.75" top and side panels and an 11/16" bottom panel. This enclosure has clearview twin doors and opens a full 180 Degree. Clean contemporary lines and cabinet style doors make this an instant classic that compliments any decor. The low profile front maximizes the viewing area. Will Fit Widths: 35" to 38"
Will Fit Heights: 29" to 31.32"